Blog | Bartok design Co. Blog – Page 43 – Bartok design Co.
On 6/28 we are moving! The new warehouse/showroom will be operational from 7/1. 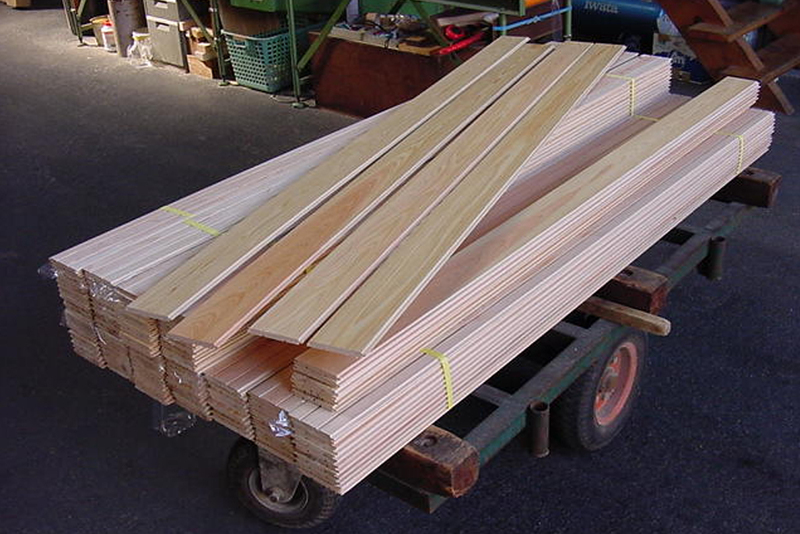 We are relocating closer to Chiba, within the Tokyo Central lumberyard – Chiba lumber center. The address is: Yoshioka 496 Yotsukaidō City, Chiba Pref. We are actually very close to Narita Airport, you are welcome to drop by on your way back! 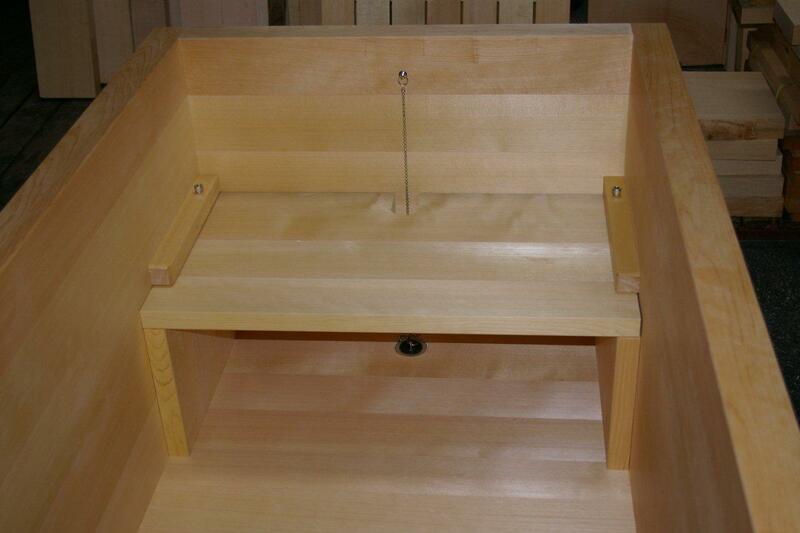 Bottom is treated with natural oil, joints are built with wood dowel heads. This tub has two confronting removable benches and is suitable for up to 4 people. 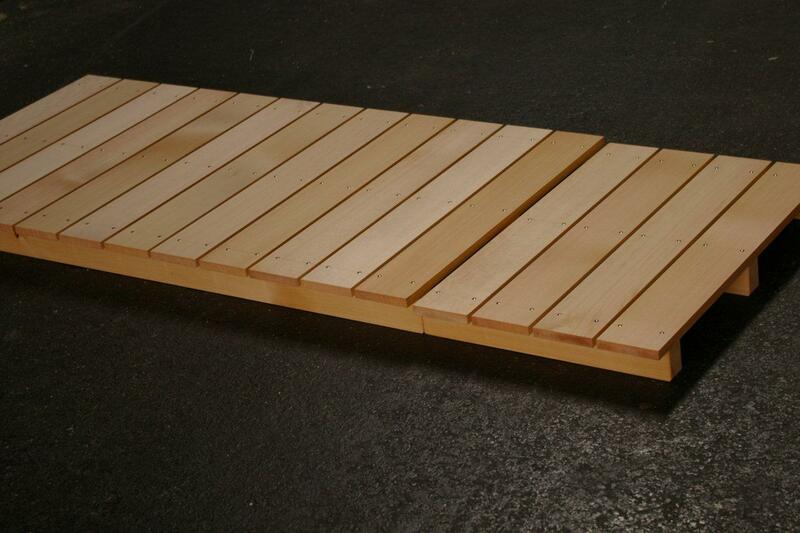 Did you know you can order just a duckboard? 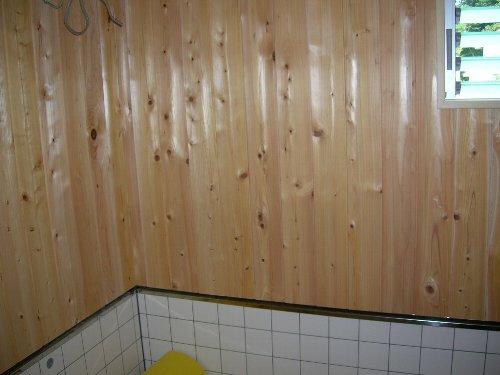 In this case, a friend architect ordered one for (I imagine) a very special bathroom. 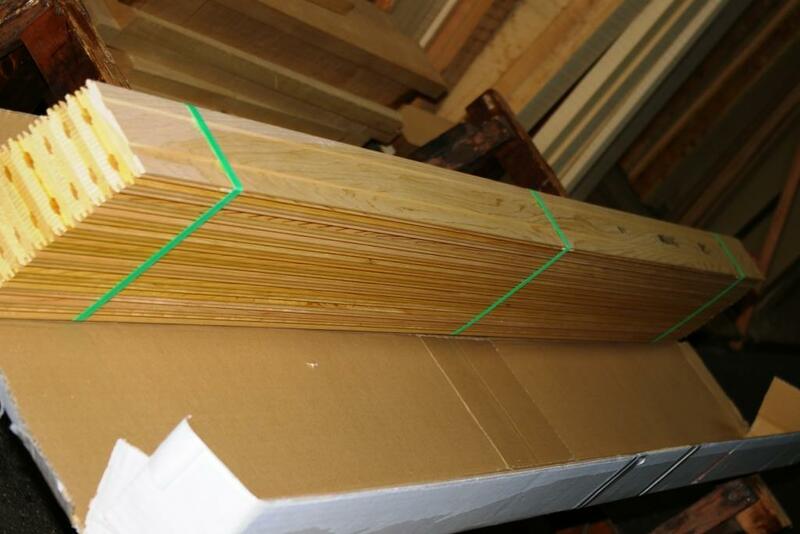 We had a detailed correspondence about using the planks long wise or width wise. 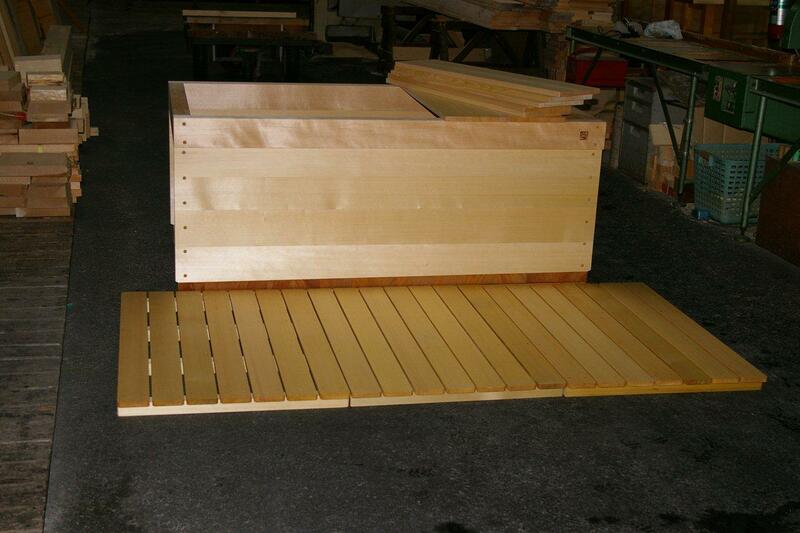 We custom built the sleepers to adjust to the existing slope. The grating was divided in two pieces for easy maintenance. The client chose not to chamfer the corners of the planks for a sharper look. We adjusted the size a couple of times. Every communication was done in a fast and accurate sequence of questions and answers, like in a ping pong game. Perfect. 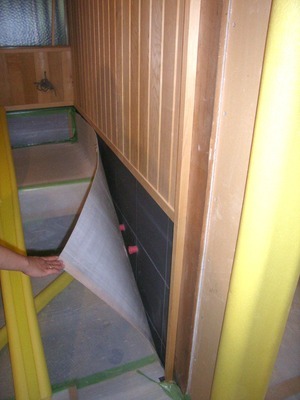 The sunoko is now happily installed, I hear, but… we are having 2 practical problems. I am mentioning it here so it can be of reference for other cases. 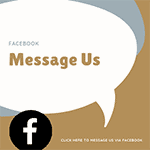 Please bear with us as we will do our best to assist you in any circumstance. problem 1) One plank was damaged during the transportation with EMS! solution 1) All the shipments are insured. If you already opened the box and used it for more than a week, there is nothing we can do from our side. You will have to file the claim to the post office, they will produce a damage report. Send it to us. We will file it to the japanese post office and obtain a refund. Meanwhile we will make a new sunoko section and ship it to you. Sorry for the trouble! problem 2) Some of the stainless steel nails developed some rust stains! solution 2) No kidding! I confirm we use SUS1818 type stainelss nails. As you can find on internet resources (wikipedia etc. ), the only case that stainless steel produces rust is when it gets in touch with another ferroid material. The chrome coating anti-oxidation barrier of stainless steel is neutralized by the electrolitic effect of the two metals touching. Dip a moist, soft toothbrush in a box of baking soda. Or you can use a mild pickling gel. Rub back and forth gently on the stained area. Rinse abundantly. Our client kindly participated us these pictures. Japanese and western. Just like the lucky owner of this sleek bathroom (a japanese-american couple), mixing it up makes life more interesting! 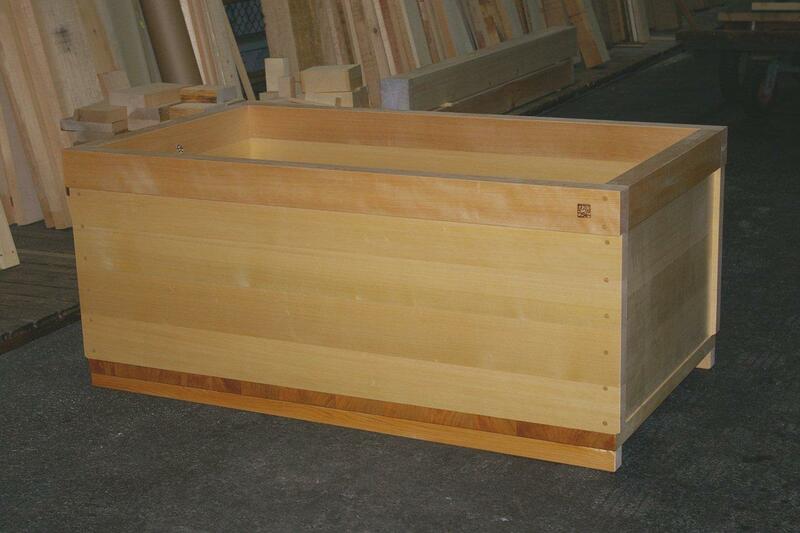 The tub is a large knotless hinoki with tob border frame. 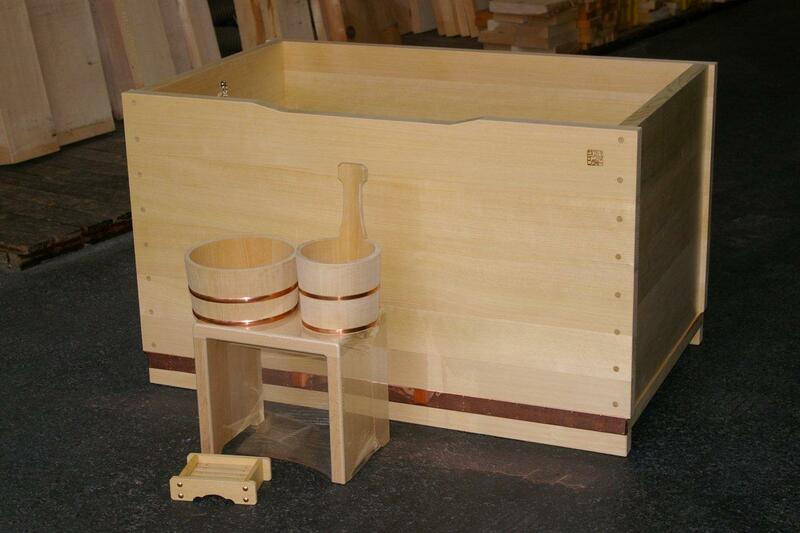 The tub bottom is equipped with a copper apron and the joints are finished with wooden dowels. With a full set of japanese bath accessories, I am sure that the lucky owner will feel as he is bathing in a japanese onsen! Please enjoy the second video in my kabuki experiences series. This video is a short run through of where this wonderful opportunity has taken me. Wabisabi Culture – Cultural association and ryokan (japanese style bed&breakfast). Acknowledged by the tea ceremony school Ura-senke – Roma branch. Ideal for meditation, relaxation and self improvement. Tile murals designed in Japan, made in Italy – Ceramic tile murals with colorful glass enamel, designed by Japanese artist, Junko Torrini and handmade in Tuscany, Italy. www.japononline.com	(language=french). This site is a lively community with tons of information about Japan. Look here for articles on Japan, chat & forums, goodies…. Japanese online: look here for japanese lessons, kanji drills, meeting friends and a online japanese goods store! For those of you with additional interests in Japan, we have prepared a short video of how I was invited to perform with a village kabuki group. Kabuki is a stylized Japanese drama that includes dance, best recognized by the ghost-like white make-up that the actors apply. Click here to read more about Kabuki on wikipedia. Village Kabuki is a non-professional version of Kabuki that were and still are community events in the more rural parts of Japan. I have been performing for 10 years now and it is wonderful to be part of a fading tradition in Japan. Please enjoy! 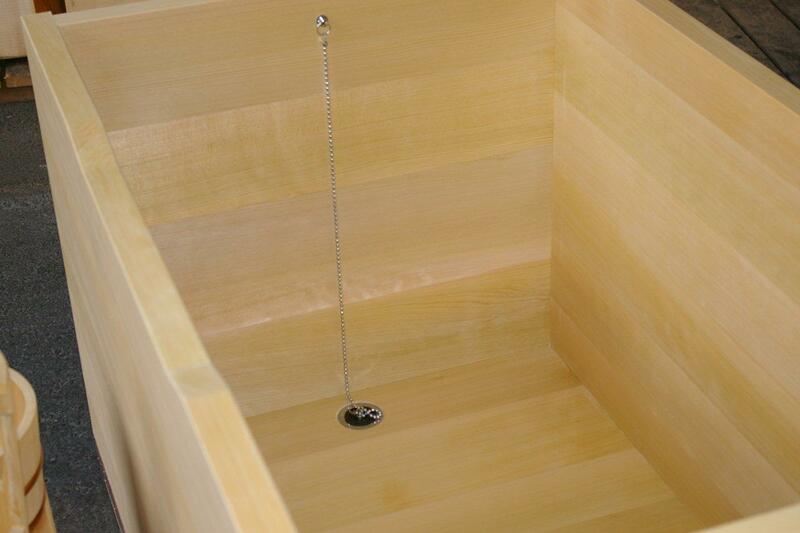 A great way to complement a hinoki bathtub is with wooden wainscoting. There are two options to choose from. Narrow [top left] and wide [top right].